Fashion Projects #3 Out Now! Check here for more information about this third issue, including its table of contents. 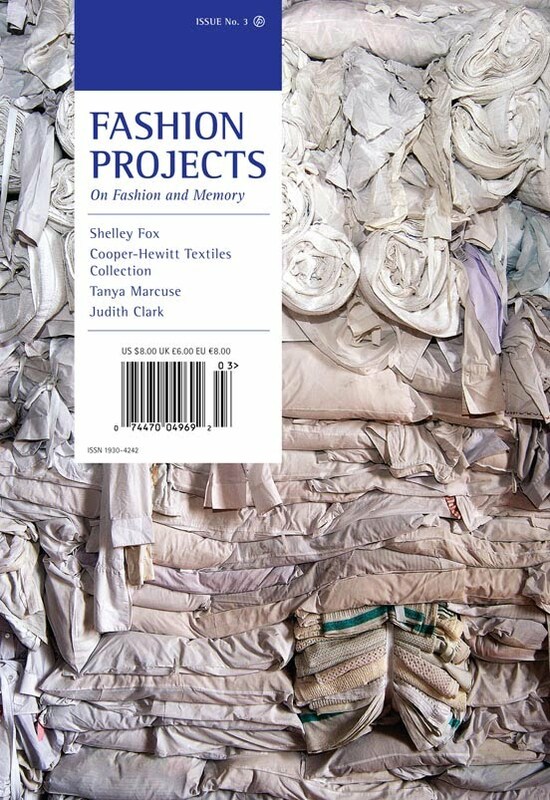 You can order your copy online from Fashion Projects (with PayPal). I already did! I want to write about thrifting, both my personal history with thrifting (as war refugees, my family and I spent a good portion of our first decade in the United States in secondhand clothing) plus an analytic of thrifting (as, for instance, a much ballyhooed “recessionista” or “green recycling” consumption strategy). Meanwhile, I’m compiling some resources for teaching the transnational flows of secondhand clothing as both cultural capital and, well, plain ol’ capital. I’m pretty excited to watch the entire documentary once Minh-Ha arrives for our intensive writing summer camp. Here is a short excerpt!